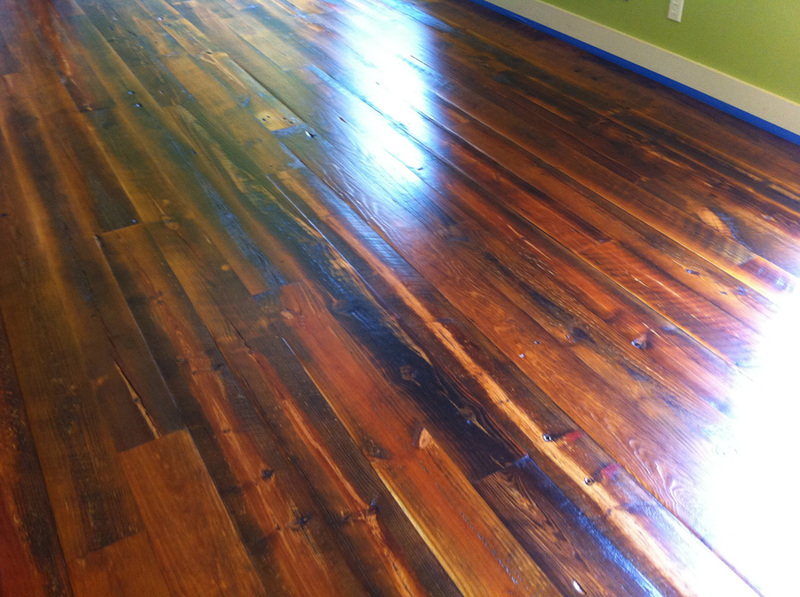 For 10 years, we have been producing beautiful wide plank flooring using lumber we have reclaimed from buildings we have taken down. It's always a challenge to explain the joy I receive from seeing the hard work our men do come to fruition. 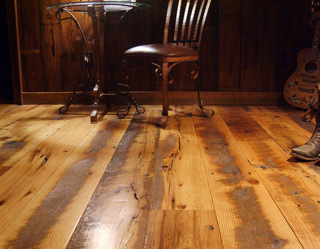 Throughout the total process of creating a one of a kind floor, a labor of love goes into each board because each board is part of something special from our past. Once in Arizona , I watched as children lay playing monopoly on a floor we had manufactured from Ammunition Storage Warehouses we dismantled at the Gulf Ordinance Plant in Prairie, Mississippi. While they giggled and laughed, I thought about their wood floor, and where it all began. From the bursting of bombs to bursts of laughter… I never expected such irony would make my heart so glad. 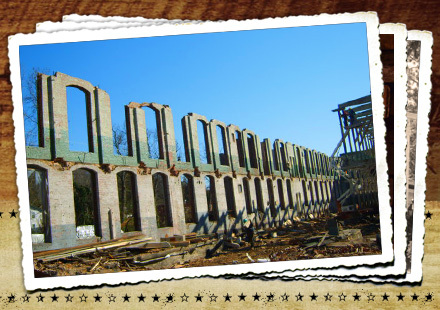 We never lose sight of the fact that in truth, we are preserving a part of this countries' historical past and reproducing it into something new to bring happiness to others. 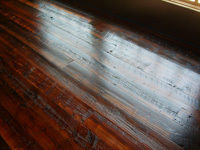 Our floors are custom made. Each floor going through our plant has the name of a trusting customer attached to it. We produce Heart Pine flooring from the highest quality lumber in our industry. Most is circa 1870-1893. 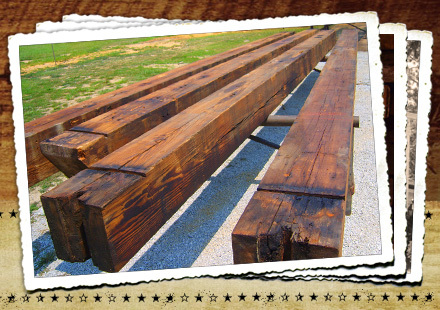 The industrial need for the best lumber available began to flourish. The best trees were chosen first during these years. 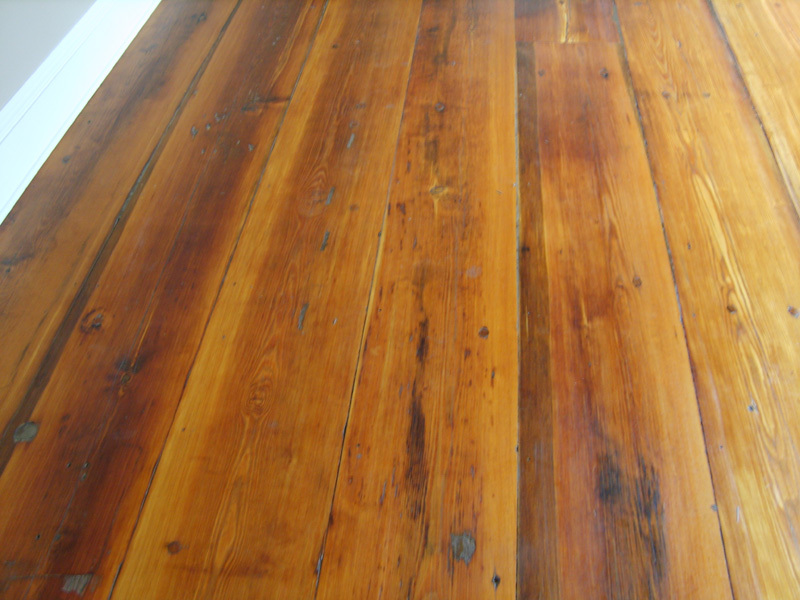 The Southern Longleaf Yellow Pine, which our Heart Pine flooring is made from, was the virgin forest, the first forest that had never been cut out. Trees planted by God, not by man. It was a slow growing tree producing growth rings so tight you could hardly count them. We manufacture the Heart Pine Flooring in widths up to 14”. The wider the board, the greater need for skilled craftsmen to install. We do it all at Vintage Flooring and Furniture. 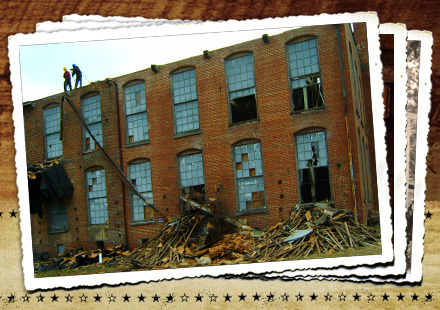 Few companies start with dismantling a building and end installing a floor. Heart Pine is a favorite choice for flooring and furniture with a quality and beauty that will last for generations to admire.